Rudis. A way of life. 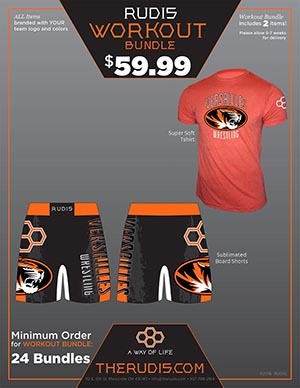 I'd like to thank you for stopping by the KOLAT.COM Store! 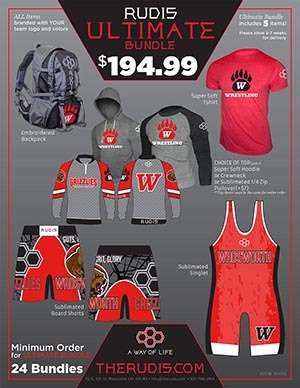 Cary is extremely particular about what products are listed on the site and what products carry the Kolat logo. 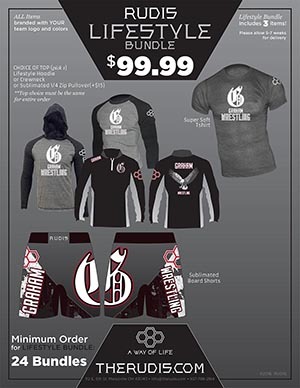 We are both honored to be partnered with Rudis and their product line. We feel the Rudis brand is second to none. Their quality and customer service is unparalleled, which is why they have been taking the wrestling world by storm at all levels. 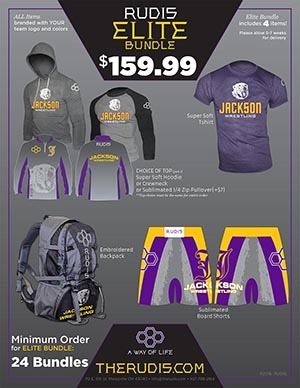 They offer some of the most innovative designs and training gear for wrestlers on the market. 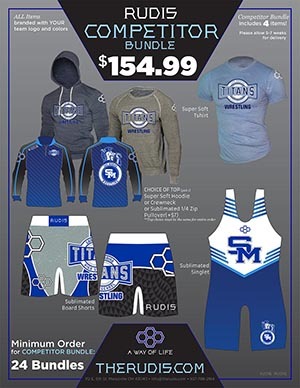 If you are new to Rudis and are interested in gear for your school, team, or club, please feel free to contact us. We would be happy to streamline the design and sales process for you. We can take the stress out of that process, so you can focus on what you all like to do best, coach wrestling. Please feel free to use the contact button below to reach me or call and I will get back to you right away!